Here’s an “after 1 month” summary without a happy ending. Warning: I’m not responsible for any damages or injury, including but not limited to special or consequential damages, that result from your use of this instructions. Yesterday I’ve finally received my new Lenovo ThinkPad X1 Carbon 6 gen laptop. I cannot say anything bad about the hardware. It fits exactly into my needs and requirements. Unfortunately, there are some flaws when used with Linux (Ubuntu in my case). Here are some hints on how to make things better. This is the most irritating issue that you will encounter. Note: Try the first solution presented here first. If it doesn’t help, fallback to the general solution. Note: with this solution you may loose the “tap to click” functionality from time to time (until a reboot). will occasionally wake up for a couple of seconds and will stop working again. Unfortunately for this moment, you will have to disable trackpoint to make it work. Here are the steps you need to follow. Note: I’m mentioning also things you should not do just in case you’ve followed other instructions that didn’t work. Disable trackpoint in the BIOS settings. Disable NFC in the BIOS settings. Don’t disable trackpad in the BIOS settings (or enable it if you did) – this will make your touchpad embedded buttons work. Don’t remove i2c_i801 from /etc/modprobe.d/blacklist.conf (it needs to be present and uncommented). Install the 4.17.0-41770rc5-generic (or newer) Linux kernel from the mainline based on the instructions presented below. Reboot your system with the new Kernel. Be happy with your working touchpad with the bottom physical buttons. Download all the files for a selected kernel version from the Build for amd64 group except those with the lowlatency in their name. For me that was 4 files overall. Open a terminal and go to the location where you’ve downloaded the files. This problem is related to thermal throttling on Linux, that is set much below the Windows values. This will cause your laptop to run much slower than it could under heavy stress. 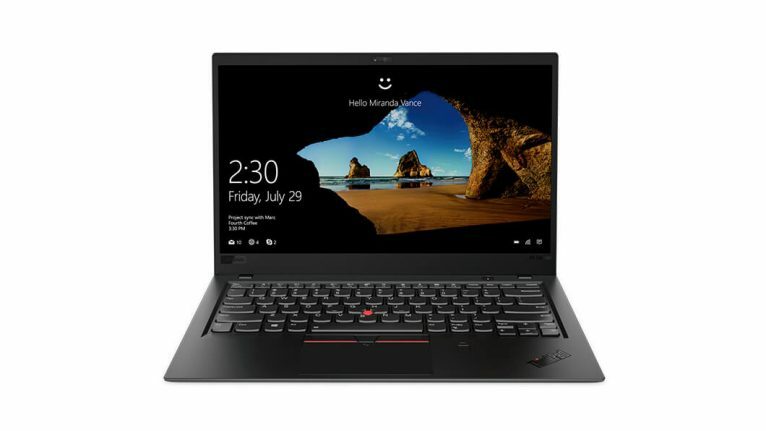 There are a lot of theories and information about ThinkPad charging thresholds. Some theories say thresholds are needed to keep the battery healthy, some think they are useless and the battery will work the same just as it is. In this article I will try not to settle that argument. 🙂 Instead I try to tell how and why I use them, and then proceed to show how they can be changed in different versions of Windows, should you still want to change these thresholds. Description taken from: ThinkPad battery charging thresholds (for Windows). This means that the charging will start only if the battery level goes down below 45% and will stop at 75%. This prevents battery from being charged too often and from being charged beyond a recommended level. #        u"Cheers! Your battery is being monitored now." after that reboot the system and the app will start automatically. If you’ve got yourself Carbon version with the WQHD screen, you may notice that everything is extremely big (or super small). That’s because of the scaling factor. Unfortunately, you cannot use fractional scaling (more details here), which means that you’ll end up either with everything being super small (100%) or super large (200%). Luckily for you, there’s an easy way out. run it and set the Font Scaling Factor to 1,50. If you’ve used my scaling solution presented above everything will work great until you connect to an external screen with a lower resolution than a native WQHD. In that case, everything will be enormous. To bypass that, you can add this script into your Ubuntu startup programs. It will automatically detect an external screen with a lower resolution and will adapt all the scaling options (as long as connected during startup). After a reboot, the pitched noise should no longer be present. Anyhow, enjoy your X1 Carbon as much as I do!